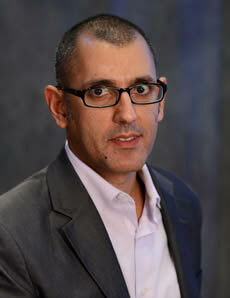 Morad Ghorban currently serves as PAAIA’s Director of Government Affairs and Public Policy. Working to forward PAAIA’s advocacy agenda, Morad is responsible for directing PAAIA’s policy initiatives, planning and executing PAAIA’s government relations strategy, and orchestrating PAAIA’s electioneering activities. From 2008 through 2010, Morad served as PAAIA’s Legislative Director. Prior to this, Morad served as the Political Director of the Iranian American Political Action Committee (IAPAC) – which merged with PAAIA in July of 2008 as the organization’s registered bipartisan Political Action Committee (PAC). Prior to joining IAPAC, Morad served on the staff of U.S. Representative John Linder from 1995 to 2000. As the Senior Constituent Service Representative, he managed and coordinated constituent casework and acted as chief liaison to the Immigration and Naturalization Service, the Department of State, and the Department of Defense. Morad earned his Bachelor’s in Political Science from Tulane University. In June 2002, he earned his Master’s in International Studies and Diplomacy at the School of Oriental and African Studies, University of London.